The Vision TriMax 30 KB Wheelset uses interspoke milling to help reduce the overall weight of the wheelset and increase its instant acceleration both in and out of the saddle making climbing a breeze. 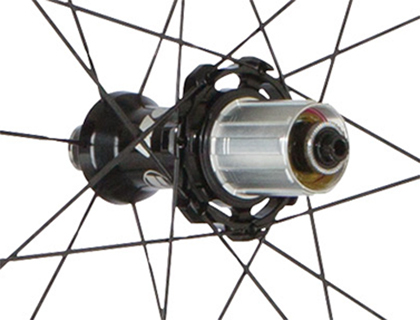 This is combined with adjustable P.R.A hubs with aero bladed spokes and built completely by hand produces a wheelset ready to go anywhere and take anything that is thrown at it. The Vision TriMax 30 KB Clincher is the first wheelset in Vision's range to use Plasma Electrolytic Oxidation (PEO) surface treatment on the rim. On the braking, this ceramic oxide coating dramatically improves wet braking performance and increases the rims wear resistance, creating a streak free fresh wheelset with great longevity ready to eat up the miles. If you're looking for a tubeless ready road wheelset to ride for miles all year round the Vision TriMax 30 KB Wheelset will power you up the hill, round the corner and explode over the line.